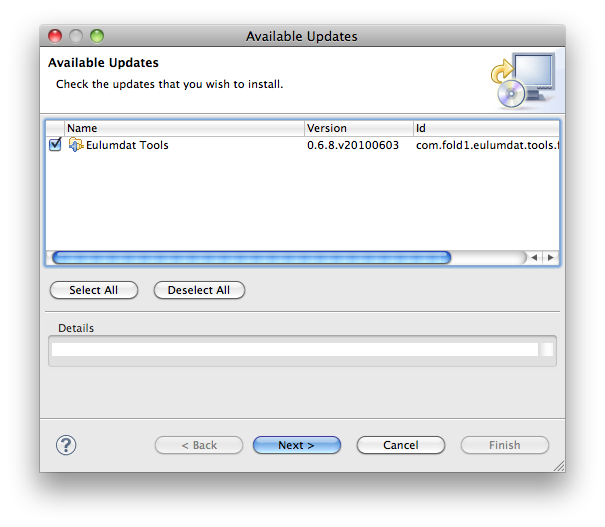 I finally managed to create a version of Eulumdat Tools RCP where you can do check for updates and actually install the updates. To get to this screen select menu Help then Check for Updates. 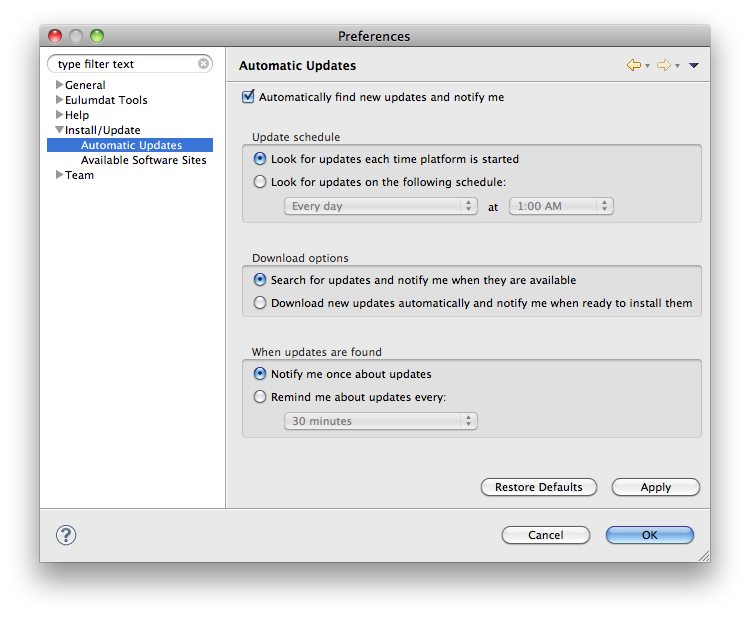 This means that checking for updates and actually doing them will take a lot less time. No need to reinstall the full package anymore, just upgrade the parts affected. 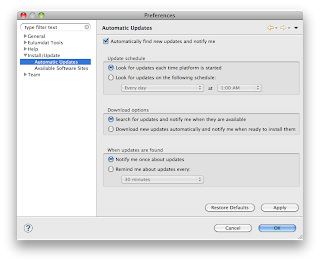 You can make cheking for updates automatic by choosing Window/preferences (on Mac Eulmdat Tools RCP/Preferences) and choosing Instal/Update and then Automatic Updates and enabling them. 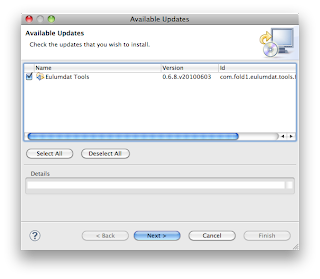 Please note that you have to download complete RCP versions once more for update to work for Windows XP, Windows Vista/7.0, Linux GTK on x86, Linux GTK on x86 (64-bit), Max OSX (Snow Leopard 32 bit) or Max OSX (Snow Leopard+ 64 bit). A big thanks to Andrew Niefer and his blog posts at here and here.